Whether you’re trying to be more environmentally friendly or looking to shave a few zeros off your bills, taking your business green can have a number of positive short-term and long-term impacts. Glass: Mix 1/4 cup vinegar with 1 quart of water in a spray bottle. Spray on glass and wipe clean with old newspaper or a lint-free cloth. Countertops/bathroom tile: Mix 2 parts vinegar and 1 part baking soda with 4 parts water. Apply with a sponge, scour and wipe away. Floors: Mix 4 cups of white distilled vinegar with about a gallon of hot water. If desired, add a few drops of pure peppermint or lemon oil for a pleasant scent. After damp mopping the floors, the smell of vinegar will dissipate quickly, leaving behind only the scent of the oil. Wood furniture: Mix equal parts lemon juice and olive oil. Apply a small amount to a cloth and rub onto the furniture in long, even strokes. Toilet bowl cleaner: Sprinkle a toilet brush with baking soda and scrub away! Occasionally disinfect your toilet by scrubbing with borax instead. Wipe the outside of the toilet with straight vinegar. Disinfectant: Mix 2 teaspoons borax, 4 tablespoons vinegar, 3 cups hot water and 1/4 teaspoon liquid castile soap. Wipe on with dampened cloth or use a spray bottle. Wipe clean. Mold and mildew: Wipe with vinegar. Air freshener: Sprinkle essential oil on a cotton ball and stash it in a corner of the room. Lavender is a relaxing scent, while cinnamon, clove and citrus oils are great energizing scents. Try peppermint if you need help to stay alert. Some steps you take may require an investment upfront in order to save money over time, while other steps will require your staff to hold each other accountable to the new green rules. Ultimately, making a conscious effort to become more environmentally friendly will save you money, increase staff productivity and improve overall relationships with customers and communities. 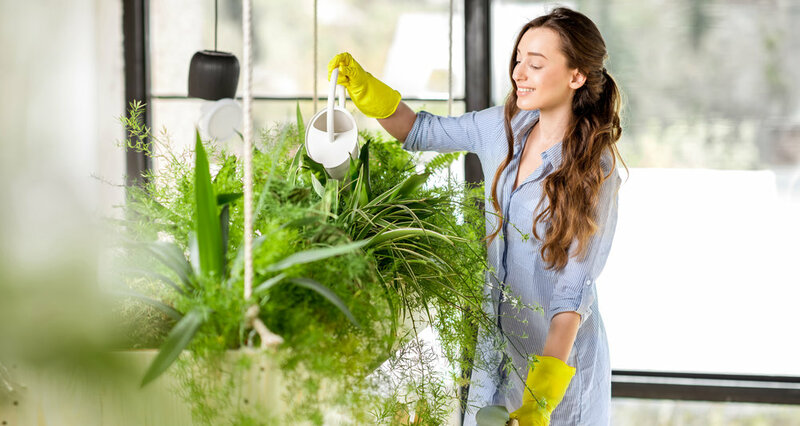 If you’ve felt inspired to do some spring cleaning around your salon, you can take it to the next level by using eco-friendly cleaning supplies. Exchange traditional chemicals and cleaning tools in favor of reusable and DIY options. Swap your pricey, single-use Swiffer wipes for reusable microfiber cloths, or invest in an old school mop whose heads can be cleaned in your washing machine and hung to dry. On a similar note, ditch the endlessly wasteful paper towels and repurpose old towels, sheets, pillowcases, etc., to use as cleaning rags. Simply cut the fabric into squares and then toss them in the washing machine to clean for later use. When it comes to atmosphere, you don’t need to purchase expensive air purifiers or humidifiers to create a clean environment in your salon. Houseplants are incredibly effective filters that purify the air by removing toxins, pollutants and carbon dioxide. 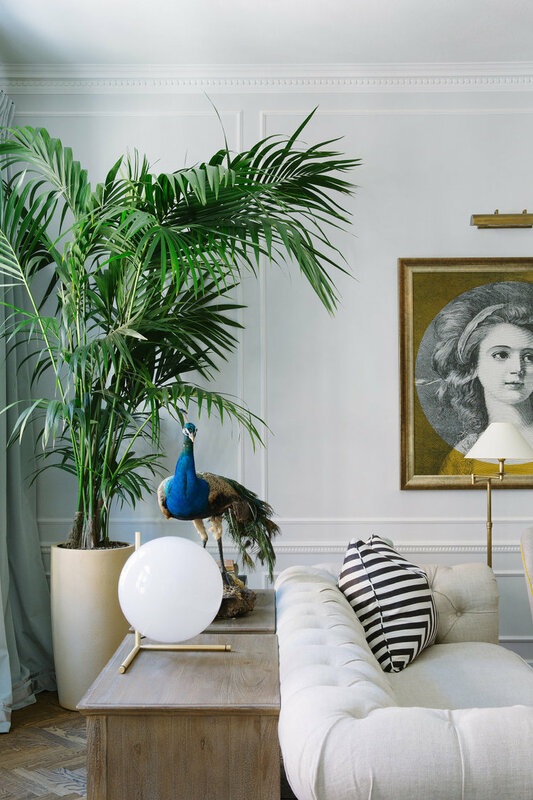 For example, the low-maintenance areca palm has a high removal rating for formaldehyde and is incredibly effective during winter months for its ability to humidify the air. English ivy is great for allergy or asthma sufferers, as it has been shown to wipe out lingering air-based mold. Looking for something beautiful, but not a green thumb? Try peace lilies or orchids for maximum decor appeal with very little hands-on maintenance. The easiest and most effective changes you can make involve reviewing your daily operations. When you leave the salon at night, do you make a point to power down? The majority of wasted power is consumed by electrical devices that are off, but remain plugged into a live outlet. Go beyond turning off the lights and powering off computers and other devices and make a point to unplug the power source from the wall. Speaking of lights, trade your incandescent bulbs for compact fluorescent bulbs, which use 75 percent less energy and last 10 times longer. If the word “fluorescent” triggers images of harsh, unflattering overhead lighting, don’t worry — modern fluorescent bulbs come in a variety of sizes, wattages and sheens so that you can tailor them to your ideal appearance. Switch to cold water in your washing machine and only run it when you have a full load. Every wash cycle consumes a whopping 32 to 59 gallons of water. By switching and limiting you not only save water, but also reduce carbon emissions. On the subject of water, eliminate the practice of supplying courtesy bottles of water and install a water dispensing system instead. You’ll not only benefit the environment by reducing waste, but you’ll also save an incredible amount of money. Recycling, of course, is the most obvious way to become more eco-friendly. Place recycling trashcans next to regular ones to encourage the practice. Invest in 100-percent post-consumer product business cards, stationary and retail bags, and instead of supplying new bags every time a guest makes a purchase, encourage clients to bring their own reusable totes in exchange for a discount on product. If you want to be extremely proactive about reducing your waste, partner with a business like Green Circle Salons, a Canadian-based company that collects hair, metal waste and chemical residue and disposes of it in an environmentally friendly manner. Even leftover hair can be recycled to make hair mats used for oil spills and contaminated storm drains. Since its inception, Green Circle has collected more than 2.1 million pounds of salon and spa waste, with a mission to make the salon industry in North America sustainable by 2020. Finally, go paperless! Eliminating paper waste is easier than ever in the modern era. Apps like Evernote allow users to use their phones to scan documents, business cards, photos and more, and upload them to any device via the cloud system. Offer guests the option to have receipts emailed rather than printed, and market to them strictly online! Utilize social media platforms to get the word out about your business and take advantage of email marketing. Programs like STX Cloud offer full email marketing features that allow you to customize templates, schedule campaigns and monitor each message’s success rate so you know what works best for your clientele. It may take time to adjust to going green, and maybe your change will be gradual rather than all at once, but ultimately the impact you make on your health, the environment and your wallet will be an incredibly satisfying reward in the end.